Divorced technical writer Alex Whitfield lives a life of studied normalcy, in sharp contrast to his deeply dysfunctional family: uncle in prison for arson, half-sister missing after a stint in rehab, father dead by suicide in a psych ward. But Alex's normal life is shattered one night when he finds his half-sister, April, lying in his bathtub with her wrists slashed--until she disappears a few seconds later. Alex is terrified to think he might have inherited his father's madness, but when he confides in a friend, she suggests that Alex might not have been hallucinating; instead, perhaps he saw April's ghost. Alex doesn't believe in ghosts, and he doesn't want to believe April is dead, either. Still, he dreads hearing what a doctor might say about his sanity, so he delays the inevitable by letting his friend take him to see a "witch" who supposedly can help him. Thus begins Alex's reluctant journey from the streets of Atlanta to the mountains of Appalachia and from this world to the next one as he's forced to grapple with hidden truths about himself, his family, and the very nature of reality. Along the way he'll find friends and enemies among both the living and the dead, and he'll learn why his father really committed suicide, why April went missing, and why she desperately needs his help. Brent Winter was born in Atlanta, Georgia, to an 18-year-old single mother who claimed to have begun teaching him to read when he was two years old. Brent doesn't know whether it’s even possible to teach a two-year-old how to read, but he's been devoted to the written word for as long as he can remember, so maybe his mom was telling the truth about this one. He was in sixth grade when he wrote his first short story, a Silmarillion fan fiction that told how hobbits were created (a glaring omission in Tolkien’s account of the origins of Middle-Earth). He continued to write on and off throughout grade school and high school, but he gave writing a break when he went to college at the University of Alabama; after all, it takes a lot of time and effort to flunk out of school. He should have known he wasn’t cut out for a career in law or international business when he blew off studying for his Western Civ final so he could pull an all-nighter to read The Talisman. Brent kept writing, kept getting rejections, segued out of dishwashing and into line cooking, won one short-story contest, got more rejections, and segued out of restaurants altogether and into the publishing industry. As the only editor in his office who lacked a college degree, he was keenly aware of the limitations on his employment prospects, and he started to wonder if he should finish a certain endeavor he'd begun long ago. Soon he did, earning a bachelor’s degree in philosophy followed by an MFA in creative writing. He's still employed and financially solvent today, which proves that people who have impractical college degrees can still lead normal, productive lives. 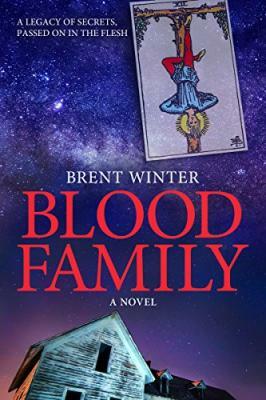 Now Brent works as a writer and editor at North Carolina State University in Raleigh, and his first novel, Blood Family, is available for purchase in print and e-book formats. He wrote most of the book while riding the bus to and from work. His mom never got to read Blood Family, but he thinks she would have liked it.